A multitude of organizations from both countries are now trying to answer those questions and locate the remaining passengers, according to The Governor of Svalbard, which is coordinating the operation. They include the Norwegian Meteorological Institute, The University Centre in Svalbard, the Norwegian Coast Guard, Longyearbyen Red Cross, The Accident Investigation Board Norway, Russia’s Ministry of Emergency Situations and others. In addition to searching for evidence, efforts are being made to simulate possible events during the crash. “They also deployed a doll almost like a human body to study the drift,” the governor’s office noted in a prepared statement. The Russian Mi-8 was raised onto the deck of a ship early Saturday morning and a few items of clothing were found less than 100 meters from the wreckage, according to the governor’s office. The body of a passenger was discovered Monday and a lifejacket – which has not been positively identified as belonging to the helicopter – on Friday. A total of 24 lifejackets were found inside the mostly intact fuselage, the governor noted. “There should normally be 25 vests on board this helicopter,” the statement noted. Some Russian media reports have reported the Mi-8 helicopter – which debuted in 1967 and is still in production – has suffered a high ratio of crashes, due in many cases to inadequate maintenance. But the company that owned the helicopter in Barentsburg described it as “practically new” and reports were published Friday citing a “piloting error” as the preliminary cause. The helicopter crashed Oct. 26 about two kilometers northeast of the heliport in Barentsburg after departing from Pyramiden with five Russian crew members and three Russian researchers. Recovery workers have recovered the aircraft’s GPS and cockpit voice recorder, but are still searching for the flight data recorder installed in the tail that broke off. 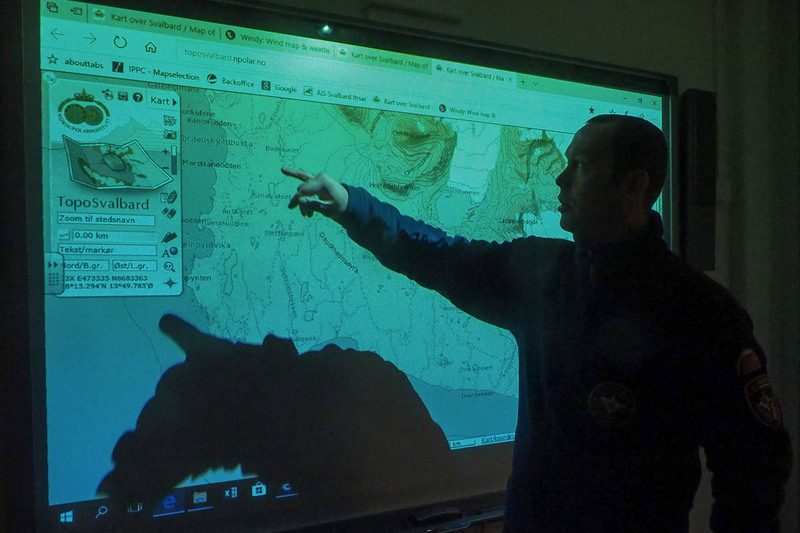 Gunnar Johansen, a spokesperson for the governor, told Svalbardposten the search will continue as long as is practical.